Did you ever notice that you suddenly start feeling good in certain weather conditions? Or you feel like sleeping more in the winter mornings? You might be surprised to know that the weather influence the way you feel and sleep. 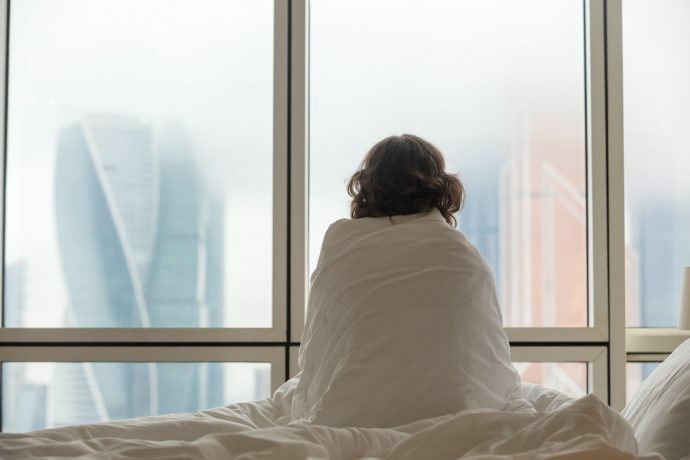 There is no denial of the fact that many aspects of having a sound sleep are under control, but the one that is often overlooked is the external environment. Change in humidity, temperature, precipitation and temperature can affect us in many ways, both negative and positive. Read on to see how the change of season disrupts your sleep and what you can do to get proper and sound sleep. This is especially true in the winter and spring season when days get shorter. Light is very crucial to have a proper sleep. Vitamin D we get from the sun is not only important for bones and muscles but is also vital for serotonin production, which regulates many body functions, including our sleep-wake cycles. The lack of sunlight in winter can reduce the serotonin levels which can make you feel drowsy and tired earlier. Winters can even lead to Seasonal Affective Disorder (SAD) which can make you feel depressed and sleep deprived. SAD is also linked with lack of sleep and less slow-wave sleep. Many studies and research reveal that cooler air supports the body’s natural deep sleep process. The ideal room temperature for sleep is 60-70 degrees. It also depends on the personal preference, clothes and mattress. You can also take a warm bath one or two hours before cuddling yourself in your favourite mattress for sound sleep. You constantly keep feeling hot and sticky in the hot and humid air. It not only makes you physically uncomfortable but also prevents you from getting a deep, sound sleep. Aside from switching on the air conditioner, you can also use fans and keep the windows open to keep the room cool. Additionally, don’t eat when you are about to sleep. Opt for a good mattress made from CertiPUR-US Foam for a peaceful sleep. A sudden change in humidity, temperature and barometric pressure can influence the pain levels, especially for people with nerve and joint pain. This increased pain makes it harder to get a peaceful sleep. Thunderstorms and bad weather can create anxiety and make it harder to fall asleep. Invest in the quality mattress made from the CertiPUR-US Foam. Remember, sleep is one of the most vital elements for the overall well-being. Don’t let it get affected by any seasonal change. Shop for the best mattress in India today and enjoy the comfortable and sound sleep all year around.